October 15, 2015 By Elise 2 Comments This post may contain affiliate links. Please read my disclosure policy for more info. We recently found and bought a used car through craigslist. I know, the very thought of buying a used can sends shudders down your spine – to say nothing of using craigslist to do it! So. many. scammers. But if you take a few precautions, it’s actually not that scary. We managed to find a very nice car that fit our needs within about three weeks of looking, and after driving it for almost a month now, I’m happy to say that it’s an excellent car – even if it doesn’t get the fuel mileage that I was hoping for (hubby warned me not to get my hopes up – I guess having a VW spoiled me!). First off, what sites do you even use to find a car? Determine what make, model, and year model that you want, and do some research on that particular car’s pros and cons, how long they last, and determine the average price point for your selection using sites like Kelly Blue Book. While some cars with salvage or rebuild titles are perfectly good, they’re also big warning signs that the car has been wrecked in the past, and for those of us who aren’t really familiar with car mechanics and body work, it’s best to avoid the potential hazards of buying anything with less than a clean title. Ask a lot of questions. Let them know that your’e a serious buyer, and that you’re not looking for perfection, but that you need to know what faults the car may have before going to look at it and potentially wasting both of your time. You’re looking for someone who will be straight up honest with you – not an oversell. A seller telling you that there’s absolutely nothing wrong with their car is a red flag. Not necessarily that there’s something terribly wrong with it, but that they’re not going to be perfectly honest about small things that you need to know. Also, people who maintain their cars well tend to be honest and reliable folks – and you want a car that’s been well maintained, right? It goes without saying that you’ll pay more at a dealership, but beyond that, it’s a lot harder to get honest answers about the car’s soundness at a dealership. Yes, there are some who boast guarantees and/or 100 point inspections, but I know for a fact that some of these classier establishments also own the less reputable lots with unrelated dealership names, where they send the cars that don’t pass inspection in order to keep their reputations intact. Classy, huh? So it seems that your choices at any used car dealership are to overpay, or pay less for a potential junker, which is still overpaying. Don’t get in a hurry to buy. That’s the best way in the world to end up with the wrong car. Just be patient and keep browsing classified ads. Don’t be afraid to email, text, or call the owner and back out if you need to. Don’t completely ignore cars that are are slightly outside of your parameters. For instance, we recently bought a car that was a few years older than what I was looking for because it was not only very reasonably priced, but had much lower miles than a lot of the newer cars I was looking at. It was totally worth going with a slightly older model! If you’re not into mechanics, take along a friend who knows cars. They can help you check out the “engine health”, brakes, front end, transmission, and all those other things that mechanic-type people know about. No matter how cleaned up the for sale car may be, you can learn a lot about it by observing how well he or she maintains his or her other vehicles. Are they clean? Cluttered? If they care about their vehicles, it will show. More important than anything, don’t forget to be safe! Whether you find a car on Craigslist, Carfax, AutoTrader, or a listing in your local Facebook group, take someone with you, and always meet in a public place! 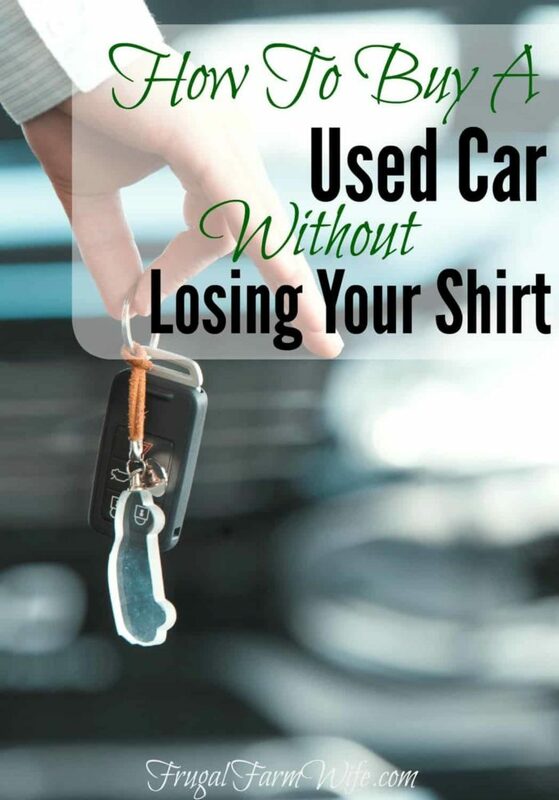 Our personal experience with buying used cars from individuals has been very positive because of these tips, and I look forward to never ever buying a brand new off-the-lot car. 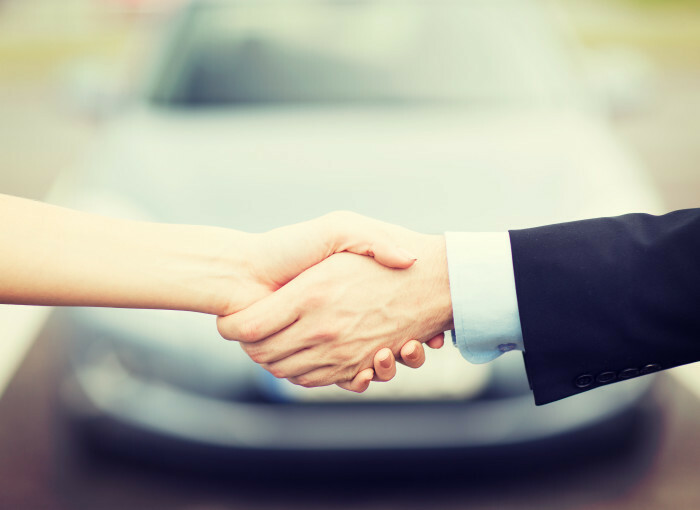 Your turn: What are your best used car-buying tips? The best part about this article is to look at the other cars the dealer is selling. If half of the don’t start and the tires are half flat and the paint is peeling, you’re probably not going to get a great vehicle. When buying a used car through a website always be careful, think twice and make sure you have all the required documents.